- Close to Red Bar, Another Broken Egg, Craft Bar and more great dining! LOCATION: This home is located centrally, walking distance to the beach. DETAILS: “Grayt Hideaway”, a 4 bed, 4 full bath private escape is sure to live up to its name. Sitting on a heavily wooded site in Grayton's most exclusive subdivision, it’s lush surroundings and nearby walking trail are ideal for those looking for an outdoor adventure! This home has been completely gutted: new floors, paint, appliances, electrical, and furnishings are some of the many updated features this home has to offer! The open and light living/dining area flows onto huge rear screened porch, ideal for lounging in privacy. The second floor loft is spacious enough to house two queen bunks! In addition, Smart TV’s have been added in every room. Walk to the famous Red Bar and nearby shops! When you're ready for a little beach time, the stunning Emerald Coast is minutes away! 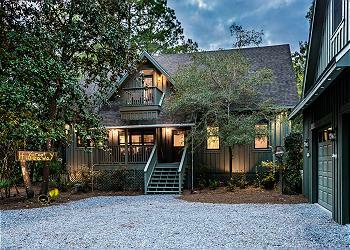 210 Grayton Trails is the perfect home for those looking for a beach getaway in solitude. Check availability and book with 360 Blue today! We had a great time and location was fantastic! Very short walk to beach, restaurant, general store. Located on private drive and very quiet. I would recommend them having some more cookware and baking sheets, that was the only thing that lacked. Other than that had everything we needed! Thanks for the Grayt stay! We are so glad that you and your family had a wonderful vacation with us in Grayton Beach! We agree that this home is in a wonderful location to enjoy everything that the community of Grayton has to offer! We will share you valuable feedback regarding the lack of cookware with our team to see what needs to be added for future guests. We hope to see you again soon! Grayt Hideaway and 360 Blue - Both Great! 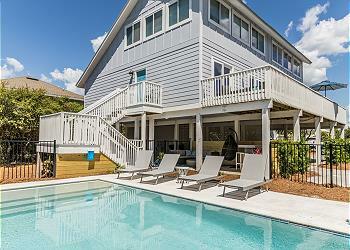 Grayt Hideaway is a 4 bedroom/4.5 bathroom home hidden among the trees within the Grayton Beach neighborhood. It\'s a short walk south to the beach/Red Bar or an even shorter walk north to 30A and AJs or Grayton Beer Brewpub. The home has ample space for three or four adult couples. The staff of 360 Blue was great to work with and they met all of our expectations. When we choose the 30A area, again, we\'ll choose 360 Blue. We are beyond thrilled that you enjoyed this amazing home, it is truly a hidden treasure! We can't wait to see you back again! The house is beautiful and in a great location. Close to Sea Side, and the beach. Walking distance to a lot of places. We stayed for the Sea Side Half Marathon. Had a wonderful time. Grayt Hideaway is the perfect place for a relaxing beach getaway! We loved having you with us and hope to see you back soon! Perfect setting, cozy and quiet. 5 minute walk to the beach. Great for families and groups of couples wanting to get away from the rat race. We are planning to come back here again. Looks like everyone is having a wonderful time! We loved having you with us and hope to see you back soon! Grayt Hideaway was amazing! We enjoyed the spacious living area and screened in porch. Couldn't have asked for a better home to stay in during our weekend in Grayton! 360 management went above and beyond as well (thank you so much!) The 360 app made our check in and check out process incredibly easy. We will definitely be back! What a gorgeous photo! We are absolutely delighted to hear you enjoyed your stay with us so much! This unit is perfect for a group get together! Thank you so much for choosing 360 Blue and taking a moment to share your experience with us. We look forward to helping you plan your next stay with us! 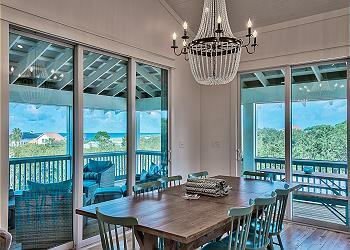 Awesome place to stay along 30A!!!!!!!!! We never wanted to leave and can not wait to go back! Beach and the famous RED BAR are just a short walk away!! 360 blue and the owners are just as great! Screened in back porch, covered front porch, plenty of TVs, great kitchen, nice grill, awesome bathrooms!!!!!! We will be back! We are so happy that you had such a great stay in this beautiful home. 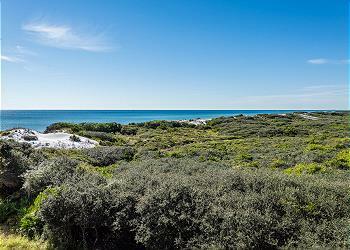 Its location in Grayton Beach is perfect for just about anything. We enjoyed having you with us and look forward to having you back soon! We can't say enough wonderful things about Grayt Hideaway....our favorite place to escape with our family! The home is amazing and both the owner and 360 do an excellent job to ensure your experience is one for the books! What a precious photo! This looks like a memory they'll treasure! We are so glad to hear you enjoyed your stay with us so thoroughly. Thank you for choosing 360 Blue and taking the time to provide feedback! Be sure to come back and see us again soon! Excellent stay. Owners and 360 are great. Glad we found this shaded spot so that we can come back again and again. We are so happy to hear that you had such a wonderful stay. We can't wait to have you back for years to come! Sounds like the perfect beach getaway! This home if perfect for multiple families and we are thrilled that you had such a wonderful stay. We look forward to having you back soon! Quiet, clean and comfortable. Peaceful getaway. What a beautiful photo! We are thrilled that you had a wonderful stay. We look forward to seeing you back soon! You know you have picked the right place for vacation when the 17 year old boys walk in and say " This is SWEET". The house was great! Perfect for multiple families! Wonderfully decorated and all the enmities that you could need and then more! We were a bike ride to everything - Broken Egg, Grayton Seafood Company, The Red Bar, Hurricanes and much more! Had a wonderful time! We LOVED the 360 Blue app that gave us text message reminders and anything we had a question about was only a click away! We will be back....soon!!! Hi Galbraith Family: We are so glad to hear that you enjoyed your vacation. Thank you for staying with 360 Blue and we hope to see you on your next trip to Grayton Beach! This was a wonderful family trip and the property was awesome!! Great location. Convenient to beach, Grayton market, coffee houses, Red Bar, Another Broken Egg, and shopping. House layout is great for multiple families it's nicely decorated and has everything you need!! Quiet setting on beautiful wooded lot. We look forward to returning!!! Thanks 360Blue!!! Thank you Hurt Family for staying with 360 Blue! We love to hear all the fun things our guest do during their stay. We hope to see you again in the near future! We loved our stay at the Grayt Hideaway! The home was very comfortable and roomy for our family of 4! It was nice to be tucked away with privacy! We look forward to our next stay in Grayton and hope this home will be available for our next trip. We highly recommend the Grayt Hideaway!!! 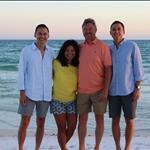 Hi Nolan Family, We are excited to hear you enjoyed your stay at "Grayt Hideaway' in Grayton Beach! Especially, happy to hear the accommodations worked perfectly for your family. Keep us in mind for your next vacation! Our travel group of nine long-time friends was honored to be the first guests in this amazing house! It was a wonderful week in this beautiful property. Everything was perfect! The owner thought of everything to make this house exceptional! Can't wait to go back! We love the group photo! Thank you so much for allowing us to host your gathering in this beautiful Grayton beach home in the heart of 30-A. We look forward to hosting you all again soon!